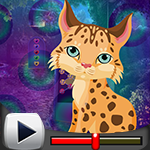 4 Scenes Escape is another point and click room escape game developed by Games 4 King. Assume you are locked in A Room. Escape as quickly as you can! Use your wits to piece together the clues and escape! Good luck and have fun!